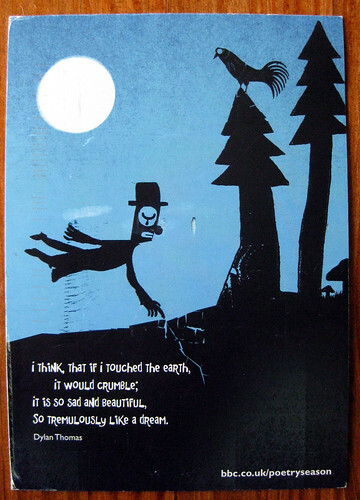 This gorgeous, moving postcard came to me from the man behind my REAL wall. It just blew me away. What poignant imagery combined with an incredible poem. Here's the text of the poem. 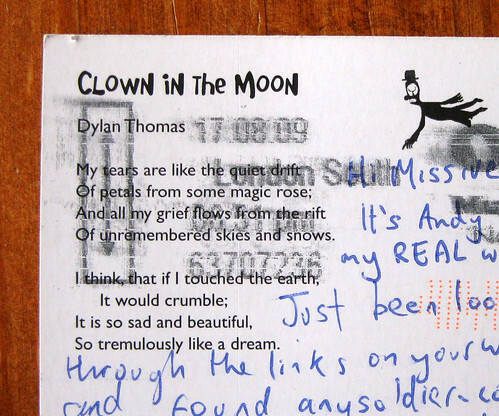 I hope you can read it through the postmark. 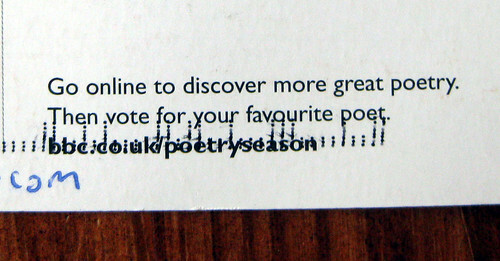 That's the info - the voting is closed but it's still an interesting project at BBC Poetry Season. And you can read more poems there. Touchingly, the writer said that the link to Anysoldier.com on this blog inspired him to go there and send a package. wow that is great . thanks for sharing andposting a great blog . I wonder why we don't have anything like anysoldier here in the UK. Nothing I've found anyway. 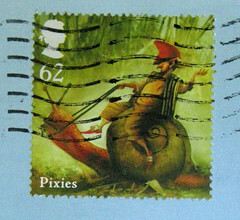 my REAL wall is moving house in a few days time, but fear not I'll send my new address to you in the post as soon as I can!